Do you “Gotta catch ém all?” As I’m sure you already know, there has been a massive revival in Pokémon’s popularity as the augmented reality mobile app, PokémonGo. It launched in mid-July and most of the world is now catching the fever. PokémonGo has rapidly topped the American iOS App Store’s charts and is becoming the fastest game to top the App Store and Google Play. Within its first week, it became the most downloaded app on the App Store of all time. According to Fieldboom, the game has become one of the Apple’s App Store’s top grossing games with over 21 million active users. Generalization is baked into its DNA. PokémonGo’s developer, Niantic, used Google technology and consumer generated insights to determine its user experience. Essentially, the landmarks in the game – PokéStops –aren’t set by the most popular places for gamers to visit, but rather by popular geotagged photos on Google. Pokémon has an established history. The brand has been around for over three decades and its adaptive nature has allowed it to shape a pan-generational brand. Interest is driven by word of mouth. The GPS integrated into the game is providing an offline experience, meaning that the human engagement at PokéStops is providing a point of differentiation, making the game more addicting and a hot point of conversation for perspective players. It provides a general juxtaposition. For gamers who have been following the brand over the last couple decades, the new app brings back a sense of nostalgia, while young gamers unfamiliar with the brand are driven by the appeal of the augmented technology that the game provides. An established community – Having a large fan base appeals to a larger audience more than a celebrity-like figure because though they have far reach, they have little credibility. Multiple benefits – PokémanGo appeals to a large audience because of its various user benefits: nostalgia, innovative tech, fitness, etc. This shows that multiple resonating points helps grow potential brand or product audiences and provides a well-rounded user experience. A common platform – Pokémon’s original products had a much smaller common platform. However, the new app was made for mobile, giving it much more accessibility to a larger audience, not just gaming-specific segments that rely on stationary devices. 68% of adults own smartphones, while only 40% own gaming consoles – this increases PokémonGo’s potential audience by 70%. Who will be next to create a campaign or follow in PokémonGo’s footsteps? We’re not sure, but we can’t wait to see! Happy Pokémoning! P.S. Today is National Coast Guard Day, and IPA Day – be sure to celebrate with your favorite brew and Coast Guard! Goldstein, Marie. “The Best Ad Strategy for Pokemon Go Might Not Be What You Think.” AdWeek. N.p., 24 July 2016. Web. 02 Aug. 2016. <http://www.adweek.com/news/advertising-branding/best-ad-strategy-pokemon-go-might-not-be-what-you-think-172598>. Scott, Georgia. “In-Venue Marketing: Ripley’s Brand Capitalize On Pokémon Go.” Wayin. N.p., 22 July 2016. Web. 02 Aug. 2016. 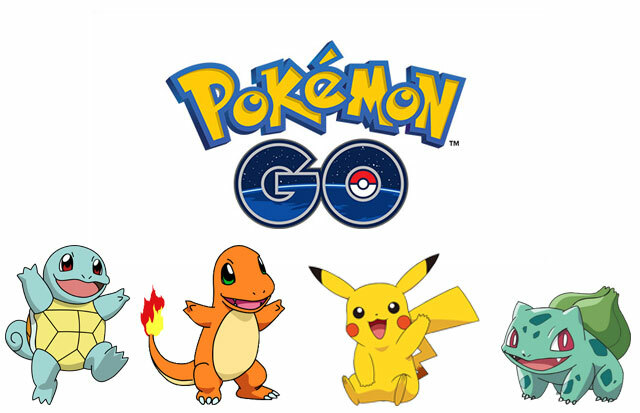 <https://www.wayin.com/blog/ripleys-pokemon-go-brand-marketing/>. Allen, Robbie. “Pokémon GO Is Now the Biggest Mobile Game in U.S. History.” SurveyMonkey Intelligence. N.p., 12 July 2016. Web. 02 Aug. 2016. <https://www.surveymonkey.com/business/intelligence/pokemon-go-biggest-mobile-game-ever/>.